Rovinj filling up. Book your hotel now! Four-star hotels in Rovinj are comfortable indeed and you have a choice of staying either in the Old Town, in Zlatni Rt nature park or in nearby neighbourhoods. For hotels in the Old Town, you'll need to get parking details in advance as the Old Town is pedestrian only. 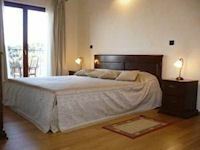 See more about where to stay in Rovinj and don't forget to check out private accommodation in Rovinj. Plush, old-style luxury. This boutique hotel is in a lavishly restored Venetian-style building. Free parking. Book now. This boutique hotel overlooks Rovinj harbour and includes a fitness centre. Book now. This classic was totally overhauled in 2015 and showcases contemporary Croatian art and design. Book now. This restored country house has a swimming pool and a winery. It's about a 20-minute walk from the Old Town and a beach. Free parking. Book now. Withing walking distance of the Old Town and the sea, this modern structure also boasts a swimming pool. Free parking. Book now. Beautifully decorated with antiques and art, there's a lot of history between these walls.